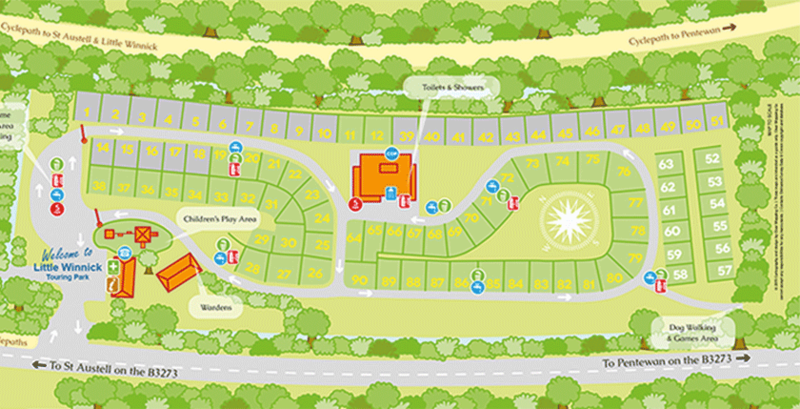 Rates include use of showers, toilets and waste disposal and access to all facilities on the park including children’s play area and shop. Tariffs are based on 2 people and one vehicle. Extra people/children, and vehicles are charged accordingly. Pitches are available from midday and we ask that you vacate your pitch on your day of departure by 11am. We have a limited storage area, this is full with a long waiting list. Please note our season runs from 13th April – 29th September 2019 – unfortunately we are not open in the winter months. Buy one night, get one free – Running from April 27th – 24th May 2019 offer open to anyone with a Cornwall address. Please see our full terms and conditions for details. You can only book using this offer by calling us on 01726 843687. Bookings are now being taken for 2019. 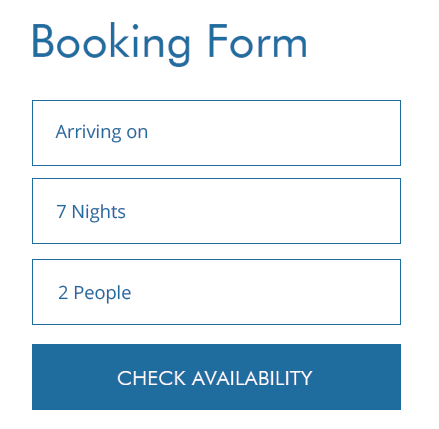 To make a booking or check availability click on our ‘book now’ section or call us on 01726 843687. Please click here see our park plan. There is no extra charge for dogs, we just ask that your dog(s) is kept on a lead at all times. Pitches can accommodate a maximum of 6 people. Please note that on a pitch, in addition to your tent, caravan, or camper van we permit one gazebo OR one pup tent. Oversized tents may not have room for a gazebo or pup tent. Please do call us to discuss. We welcome rallies of all sizes and can accommodate you in our dedicated Rally Field or within the main site. Please contact us for more information. Hardstanding pitches are grey with yellow numbers, grass with electric are green with yellow numbers and grass without electric are green with white numbers. We have a limited number of tv aerial hook ups. Please request upon booking. You can request specific pitch numbers, however we do not guarantee any pitch number requests, we reserve the right to change your pitch number.